serve them with chutney. Super simple! Puda is something I rediscovered in my mid-twenties long after I’d moved away from home and had a craving for them. I made some with carrots, the only vegetable I had on hand, and really enjoyed them. 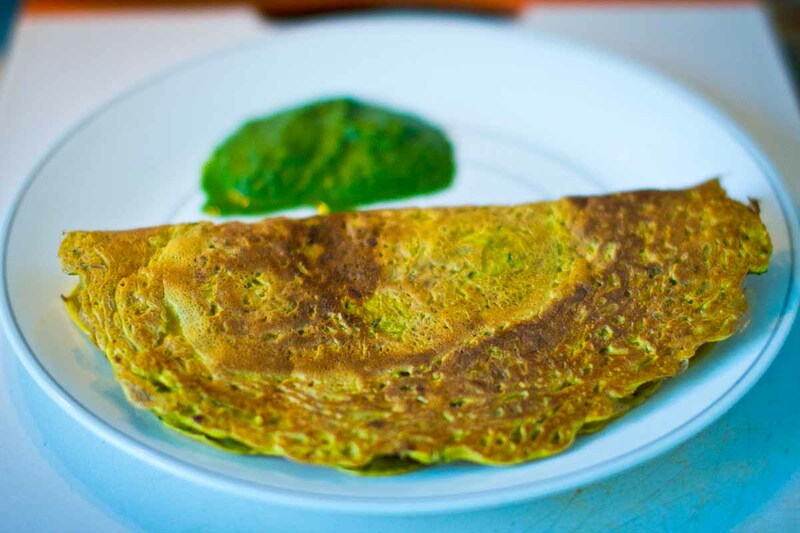 Gram flour, which is made out of brown chana (garbanzo beans), is a great substitute for egg if you want to make a vegan omelet. When I worked for the Sierra Club for a summer in 2001, a vegan coworker told me about the vegan omelet. I had no idea what she was talking about at first but quickly realized it was something I had been eating all my life. Puda! Now that Steve and I are trying the vegan experiment ourselves, I am looking forward to eating various versions of this super simple and healthy dish. Today, I whipped up a batch with zucchini for lunch. A delicious lunch that took less than 20 minutes! 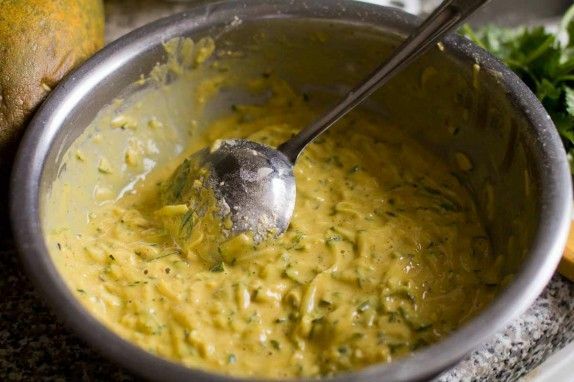 Mix all the ingredients and add water until you get a batter like consistency. Heat a non-stick skillet on medium high with a little oil. 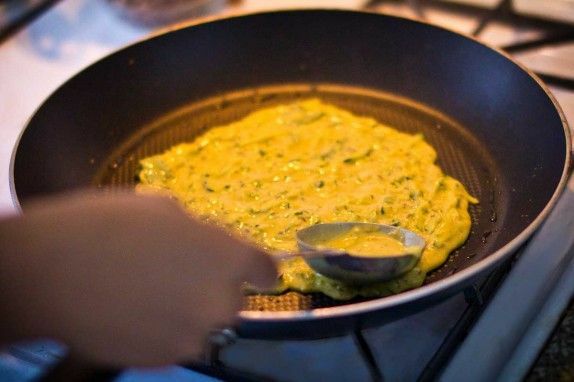 Add the batter when the pan is nice and hot and spread as thin as you can with the back of a spoon or ladle. Work fast before it sets. Let it cook on one side for about 2 minutes and flip. Let cook for an additional minute and serve. Blend until pureed. You may need to add a little more water to get the blender working. Add as little as possible. Makes about four 8″ pancakes. Feel free to change out the herbs and spices to what ever you have on hand. Thyme and lemon zest is another combination I love. Comments on "Vegan Omelet (Puda) with Cilantro Mint Chutney"
Pretty good. We gave some of the leftovers to Xaria (the dog) as well. Sounds like a very simple recipe. Can't wait to try this out myself. I just discover garbanzo bean flour today so I'm excited to know there's a lot of things I could do with it. Thanks for sharing.